Once you’ve got Stylemaster working, the whole room comes alive. That’s because Stylemaster offers you the wide-awake colors and bold design statements you love. Instantly banish anything dull or drab with a pop of color from this affordable collection of lively geometrics, patterned sheers, and hip metallics. Indulge your passion for glam with our satin finishes and vivid beading. With Stylemaster’s versatile designs to choose from, it’s like having your own personal home makeover—at a price that’s easy on your budget. Load up on decorative pillows for splashes of color on beds, couches and chairs. 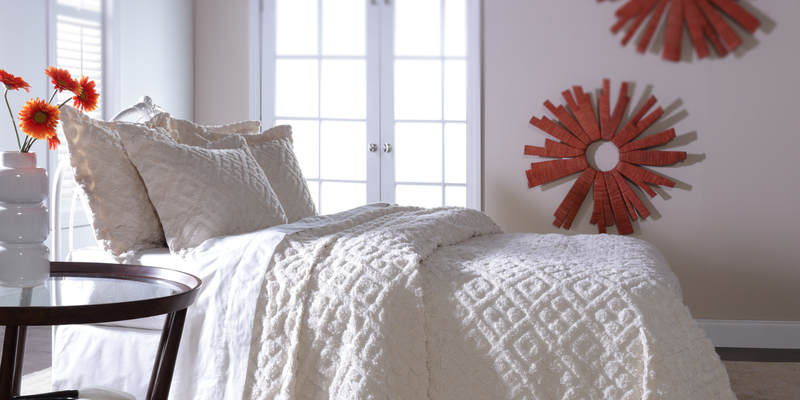 Quickly update any bedroom with one of our bedspreads in textured chenille, versatile solids, and lively patterns. Everything at Stylemaster allows you to transform any space into your space.